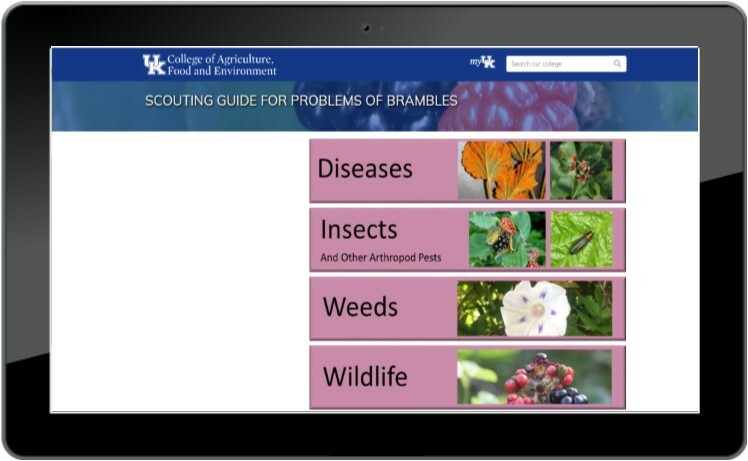 The publication An IPM Scouting Guide for Common Problems of Brambles in Kentucky was first introduced in 2018 as an online/paper version. In order to improve access to this important scouting guide, a mobile website was developed. The Bramble Scout website is now available for grower, agent, and homeowner use. 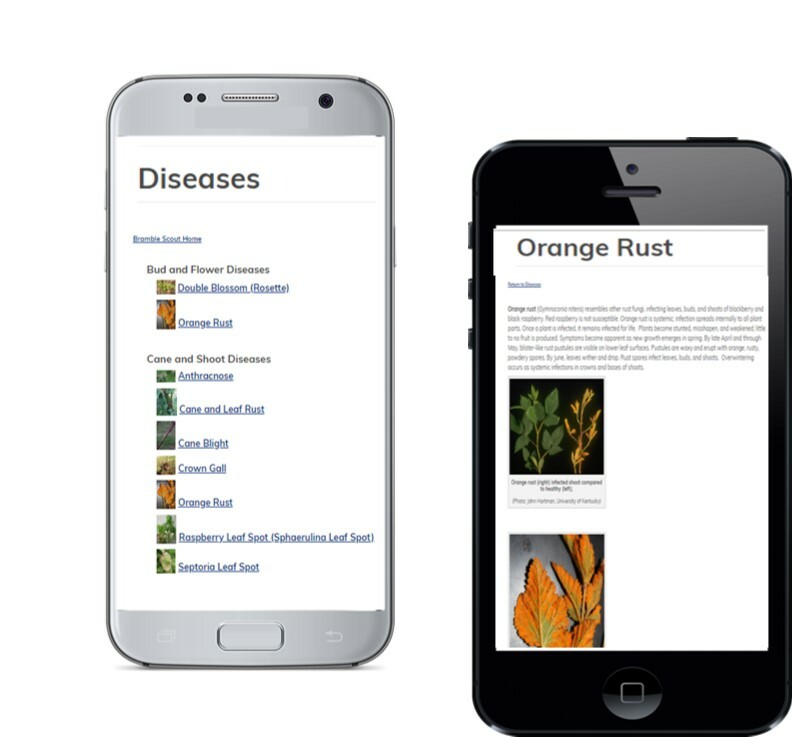 The website can be easily accessed from any phone, tablet, iPad, or computer.